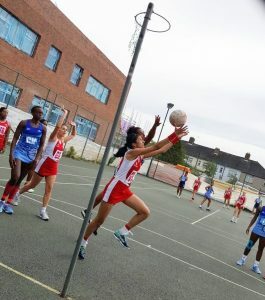 Despite a lack of encouragement from the coach at her junior netball club, who made her feel that she wasn’t good enough, and the difficulties of breaking through cultural and religious barriers, as a British Asian Muslim, Ziana has taken her netball to the next level. Much of this was down to her mother who convinced her to go to an England Netball Camp, it was there she reached a turning point. The England Netball camp coach said he believed in her, this was the encouragement she had waited years to receive. Ziana changed clubs to Leyton Netball Club in 2017, which she says is amazing, and decided to trial for London Pulse U17’s. She got into the U17 long squad and played at Loughborough in the U15 School Games Representing London last year. 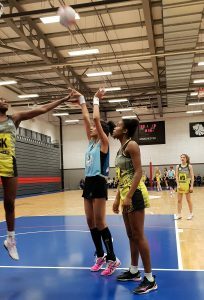 With this boost to her confidence Ziana, trialled over 12 months ago, to have the honour to represent England at the World Indoor Netball Championships in South Africa in August 2019. At just 15 she never thought she would make the U21s Nets Squad but she has! Now a year on Ziana is 16 and tasked with daunting objective of raising the required funding to cover the cost of the flights, hotel, physio, training and kit for this self funded trip. Indoor Netball is slightly different to normal netball as the court is slightly narrower and they play on a felt like surface. They play 6s which is points based like Fast 5 netball or 7s like traditional netball but both are fast and furious as the ball never goes out of play, rebounding back in from the net. 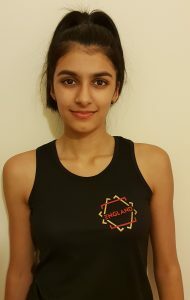 In addition to being selected for the England Nets Under 21 squad, Ziana is at the London Pulse High Performance Academy, Leyton Netball Club A Team and Premier Team and Forest School First VII. 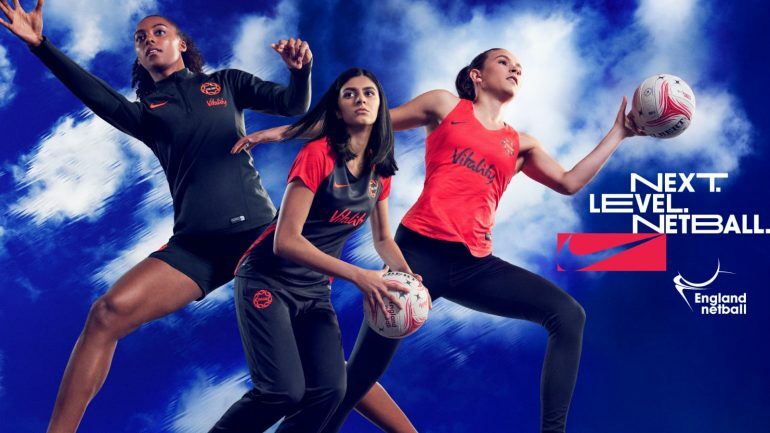 She was also selected to help promote the ground breaking England Netball and Nike partnership last year (lead photo centre) and was highlighted as one to watch at the school games. In return for any sponsorship Ziana can offer sponsor(s) the opportunity to be mentioned in any local or social media news she is involved in, have their name as as sponsor under her name on the England Netball Nets web page, she would be happy to wear their company T-shirt or other items with their company logo or name where formal England kit isn’t required and have the logo or name put on her England training top. PlayerLayer are providing Ziana with some Eco Friendly training kit (leggings made from 25 empty water bottles) but she is still struggling to find financial sponsorship. Ziana will be grateful for any help, however big or small, a sponsor can give her. She has set up a Go Fund Me page which you can find here. The total fund she is looking for is a modest £2,500. Her dream is to be the first British Asian Muslim professional netball player or at the very least get far enough to help inspire other girls that this is a sport for all and never give up trying or let anyone make you feel like you are not good enough. A really important message. If you can provide any help to enable Ziana to achieve her dream then please contact her through our comments section, your message will not be seen publicly or contact us via twitter @4tlos or Ziana – @ZianaButt.